Welcome! - Mark T. Albers, D.D.S. staying abreast of the latest developments in dentistry. such as intraoral cameras and digital x-rays. 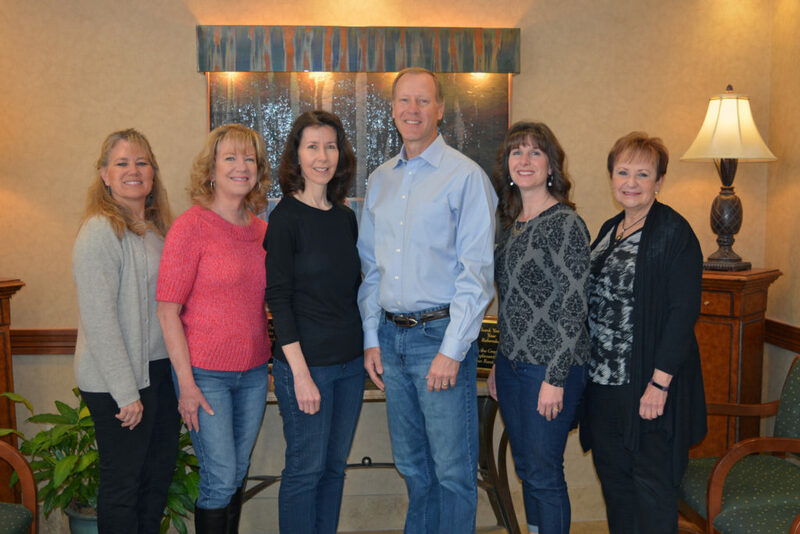 Welcome to the office of Mark T. Albers, D.D.S., a general dentist in Colorado Springs, CO. We provide comprehensive dental care for the whole family, including preventive, restorative, and cosmetic dentistry. Dr. Albers’ philosophy is simple – treat each patient as if they are a member of his family. This means that Dr. Albers uses his skill, care and judgment as a dentist to establish long-term, trusting relationships with his patients. This philosophy and these relationships are reinforced by the continuity and experience of Dr. Albers’ staff – dedicated professionals who have worked along side him for years, and in some cases, decades. Our patients appreciate the personal attention they get from familiar faces when they visit our office, and they know they can count on Dr. Albers and his team to help them make smart, informed decisions regarding their dental care. Dr. Albers and his staff always welcome new patients to the practice. Please call for an appointment.